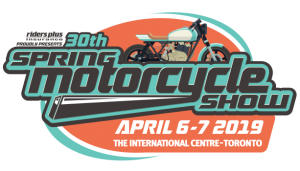 All of us here at Josef Gas had such a great time at the Toronto International Spring Motorcycle Show last year, that we’re heading back! 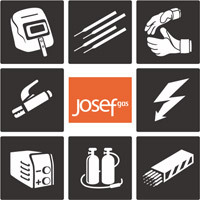 We are super excited to be at Booth #2216 in Hall 1 East, and look forward to seeing you there! We’ll have a number of new and exciting products to talk about, a few giveaways and surprises plus we’ll be joined by our friends at ESAB®, showcasing their latest ESAB® Rebel™ machines! For a limited time, purchase a show ticket and save $3.00 off adult admission. You will be automatically entered in the S.M.A.R.T. Off Road Riding School Draw and the Brown’s Harley-Davidson $25 gift card draw! One lucky person wins a half day, Off Road Rider Training Course at SMART RIDING ADVENTURES. Everything is provided: Your choice of a mini bike, ATV, trail bike, trials bike or a BMW GS bike, full riding gear, professional instruction and a fantastic place to train and trail ride at Horseshoe Resort in Barrie. The Second lucky person wins a $25 gift card, redeemable in store at Brown’s Harley-Davidson. Purchase your show ticket until March 31st, and you’ll be entered for your chance to win! Tickets are on special for $3.00 off adult admission when you purchase online! Use promo code 2019E and Get Your Tickets HERE! Check the Spring Motorcycle Show website on April 1, 2019, for the announcement of the winner here! Let’s get ready to RIDE, and see you at the Show!